Pelourinho is perhaps the most famous neighborhood in Salvador. It is a vibrant city center where restaurants serving up delicious Bahian cuisine, artisanal products, baroque architecture, religion, cultural centers and the world-famous drummers of Olodum are all united here. As the first capital of the Portuguese colony in America, Salvador established a ‘model’ for slave labor and erected gallows with various whipping posts in public areas of the city to expose and punish slaves. Originally installed in squares such as the Terreiro de Jesus and the current squares of Tomé de Sousa and Castro de Alves, as a symbol of the authority of justice, the gallows ended up lending their name, Pelourinho (which means ‘little post’ in English), to the area as a whole – perhaps the most integral part of the city’s historic center. The construction of churches and manor houses in the city increased in the 17th century, a period in which the wealthy plantation owners demonstrated their aristocratic authority in the elaborate architecture of their houses. The buildings constructed by the religious and third orders and the sumptuous mansions around the Terreiro de Jesus, in the 18th century, accurately reflect the various social strata of the city. In the 19th century, business gradually took over the traditional houses of Taboão and thereafter throughout the city center. Numerous liberal professionals came to live and work in the area, and consequently the aristocrats moved to other parts of the city. Pelourinho is also a great source of inspiration and a stage for both Brazilian and foreign artists, such as Caetano Veloso and Paul Simon; Michael Jackson once filmed scenes for a music video there. There are also some of the best restaurants and liveliest bars of the city. The cultural richness accounts for the colorful diversity of Pelourinho. 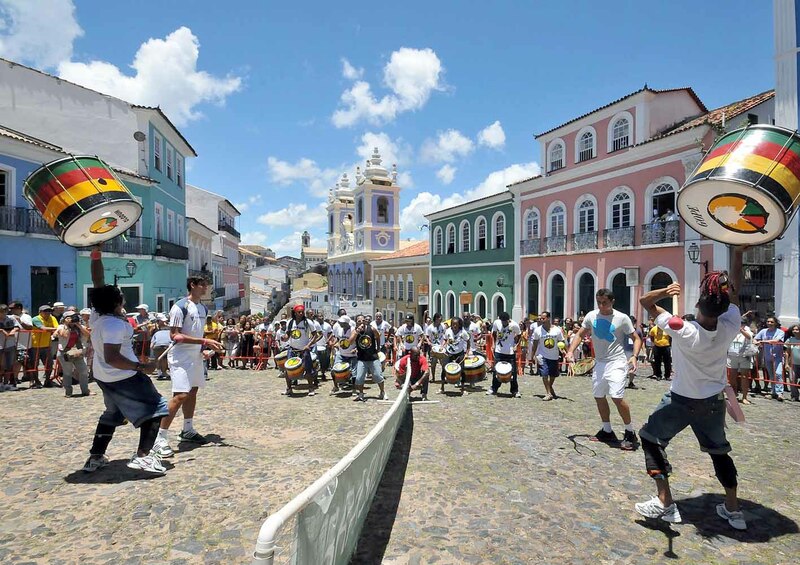 On Tuesdays, various shows are performed, such as the rehearsal of Olodum, which attracts thousands of people to the streets and squares of Pelourinho. Pelourinho was also classified a Cultural Patrimony of Humanity by UNESCO in 1985.